with commodity Wi-Fi cards and actual applications. It presents OpenRF, a cross-layer architecture for managing MIMO signal processing. 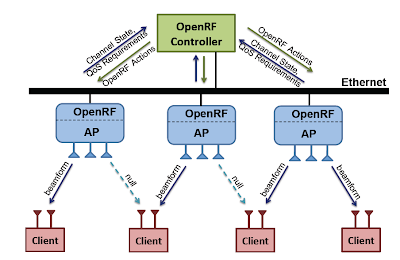 OpenRF was deployed on a 20-node network, showing significant gain in quality of service for real applications, like remote desktop.